Have your kids out done all the inflatable and indoor playplaces around town? Well, guess what? There’s a new indoor playground that your kids will love, and I have a feeling you will, too: Jump & Jack’s in West Chester/Liberty Township. 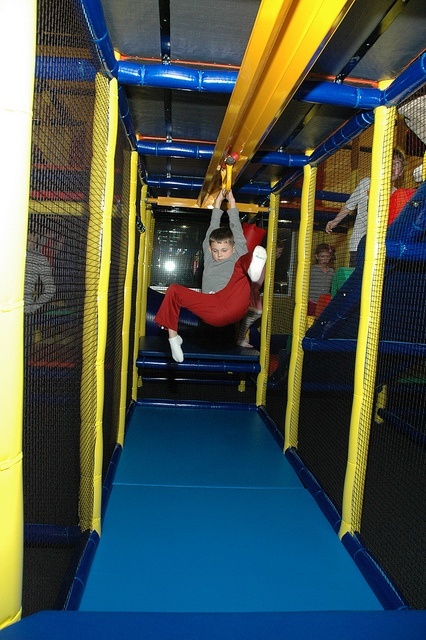 The main attraction is Jack’s Playground, the largest multilevel play structure in Ohio. It features 10 slides, including a 40-foot long triple slide and speed slide, plus dozens of other fun and interactive play elements and spaces. The playground is ideal for ages 4 to 11, although 2- and 3-year-olds may enjoy some parts of it. For parents of babies and toddlers, head straight to theToddler Room, a special enclosed area specifically designed for crawlers up to 3 years old. 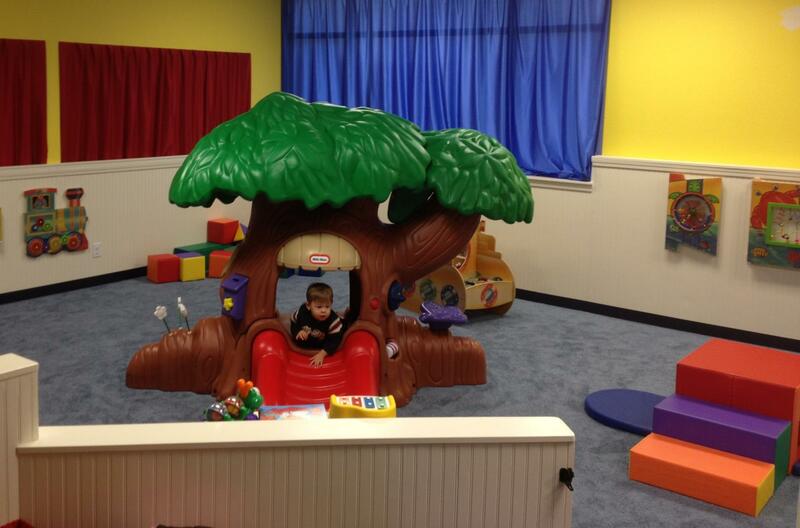 The play area features a soft carpeting over safety padding to help cushion falls as toddlers climb, play, and build. On Friday Fun Nights (5 to 9 p.m. every Friday) and at private parties, your kids can bounce and play their hearts out in Jump’s Inflatable Play Yard. 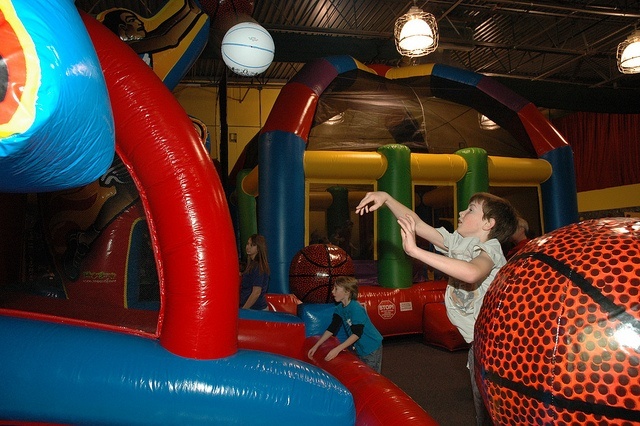 The play yard features a variety of inflatable experiences, including the Jumbo Bounce House (suitable for smaller children 34 inches or taller), Shooting Stars basketball, Soccer Fever, and a rock wall. In each area of Jump & Jack’s, there’s plenty of comfortable seating for parents to see the kids, hang out, or watch one of the big-screen TVs. You can also order food from J&J’s Cafe, including homemade pizzas, lots of kid-friendly food, smoothies, and coffee drinks. 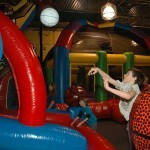 Besides offering open play every day, Jump & Jack’s also has private party rooms available, ranging from $99 to $259. Learn more about their party and group packages. I appreciated how the facilities were so clean and in such great (new!) condition. Owner and father of four kids (including TRIPLETS) Tony Smith confessed that he is a “clean freak,” which is a plus when it comes to places like this! Also, the staff were all extremely nice and helpful, bringing food orders to our table, helping my 2-year-old get down from the tall slide when he got scared, and monitoring the bigger kids getting a little boisterous in the bounce house. We like Jump & Jack’s so much, we decided to host Cassie’s 6-year-old birthday party there next month. We’ve also been back several times for the Friday Fun Nights. What a great way to wrap up the work week and enjoy a family meal in a place where kids can have active fun! 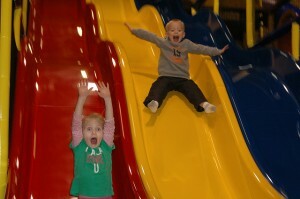 I guarantee your kids will sleep well after a few hours at Jump & Jacks. Note: Socks are required to play at Jump & Jack’s. If you want to get exclusive discounts and updates from Jump & Jack’s, be sure to like their Facebook page. When not blogging for Family Friendly Cincinnati, you can find Susan writing at her personal blog,Working Moms Against Guilt. Bowl Expo 2016 - Come Party With Us! Apple...the DEATH of the Laser Tag Industry?